Hello, dear friends! 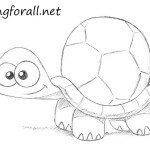 Today we have prepared a new drawing lesson, in which we will show you how to draw a cartoon character. It’s a tiger, Mowgli’s main antagonist, a character of Rudyard Kipling’s Jungle Book. And as you already know, we are talking about Shere Khan. 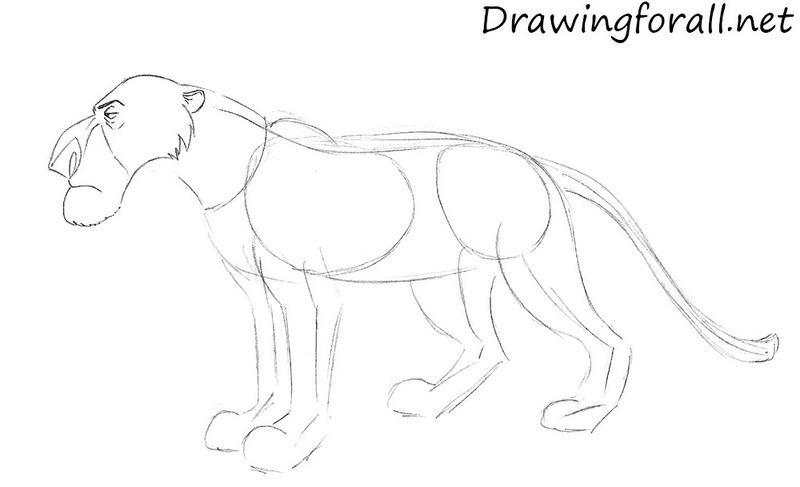 So, let’s start the tutorial, and learn how to draw Shere Khan from the Jungle Book step by step. 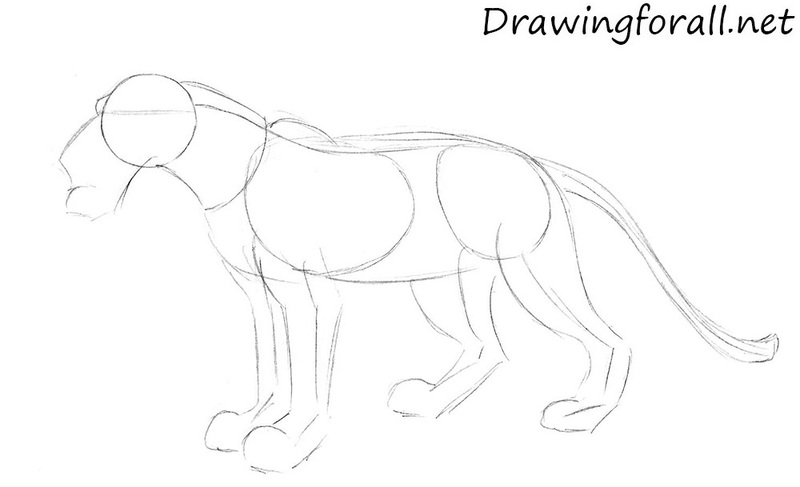 At first we need to draw the “skeleton” of the Shere Khan. Using a circle draw the outline of the head. 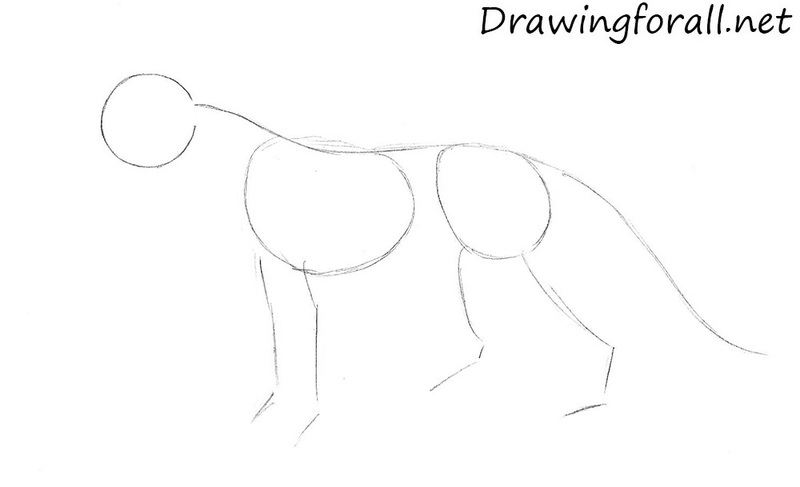 Then using a long curved line draw the spine that goes over into a tail. Using ovals draw the ribs and pelvis. 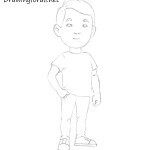 Draw the limbs as in our example. Use light lines for sketching in first steps. 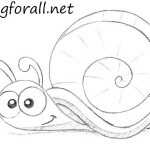 Draw the vertical line of the eyes and sketch out the snout as in our example. Using cylinder draw the neck of our tiger. Connect the ribs and pelvis to create the torso. Thicken the tail. 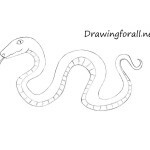 Draw the limbs as in our example. 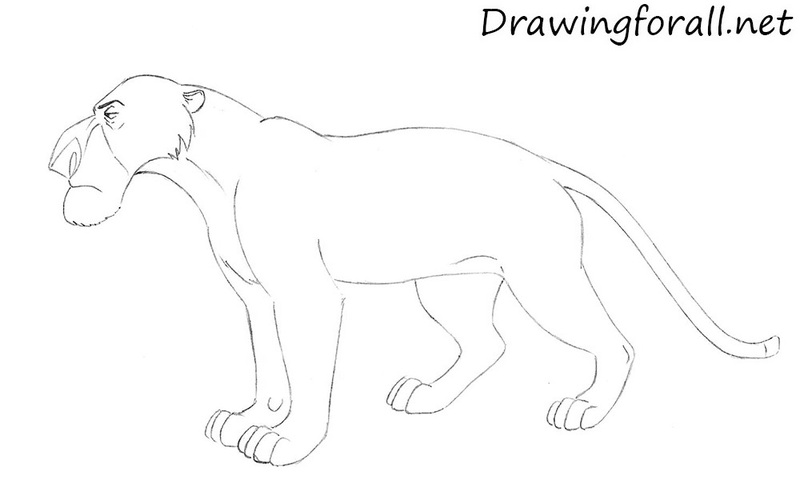 So, we’ve got the main outlines of the Shere Khan. 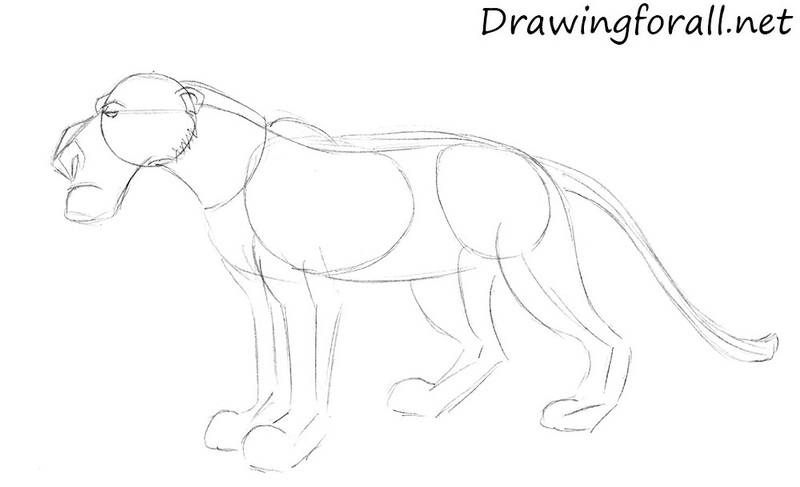 At this step of the tutorial about how to draw Shere Khan, we will start adding details to the head. Using the vertical line draw the eye. Draw the brow above the eye. 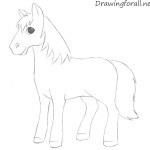 Draw the ear located on the line of the eye. Sketch out the nose and mouth. Erase the guidelines from the head. Circle the lines to make them smooth and clean. Add some wrinkles around the eyes. Using ragged lines draw hair on the chin and below the ear. At this step we Erase the guideline from the body of the tiger. Circle the lines to make them dark and clean. Draw the fingers. 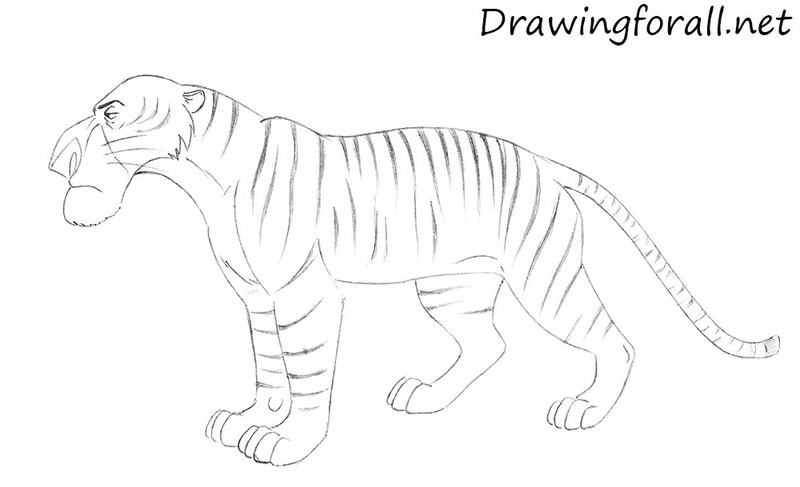 So we got to the last step of the lesson about how to draw Shere Khan. It is very simple step, in which we just need to draw the stripes on the body of the tiger. It was a good job, friends. Is not it? 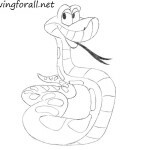 We hope this drawing lesson helped you to learn how to draw Shere Khan from the Jungle Book. Goodbye!